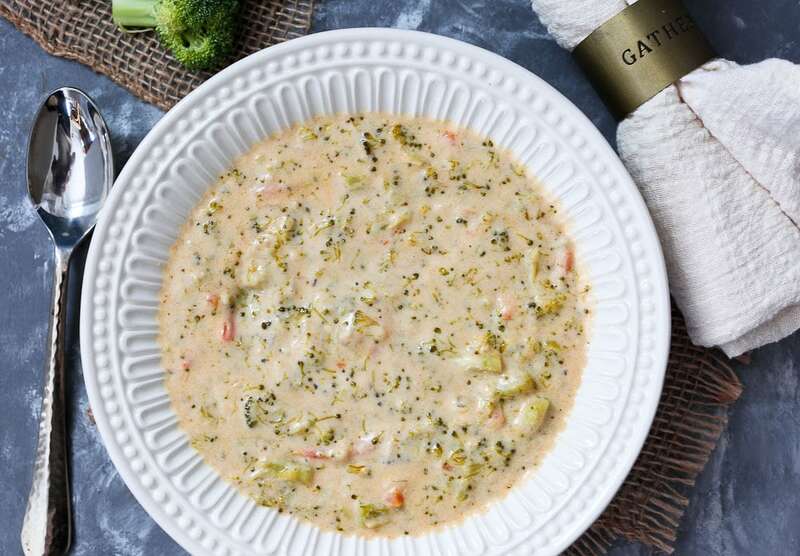 This Instant Pot Broccoli Cheese Soup is quick, easy, and will be your new favorite soup recipe! My in-laws come to visit a lot, and my mother-in-law drinks half and half in her coffee. When they leave, I’m always left with half and half that I don’t know what to do with. I drink my coffee black, so I’m always searching for different ways to use it since I hate wasting food. When they left after Christmas, there was some unused half and half and I happened to buy a huge bag of broccoli florets at Costco. It’s pretty obvious what I needed to make, right? Broccoli Cheese Soup! 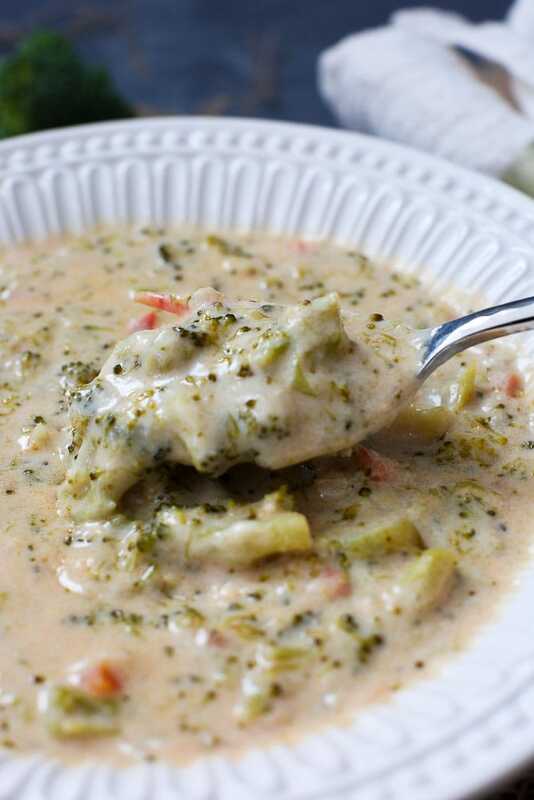 Broccoli Cheese Soup is usually made with heavy cream. I wondered if it would still be creamy and delicious with half and half? It definitely was! Nobody would know that this Broccoli Cheese Soup is lightened up considerably. I even cut back on the cheese a little bit, but it was perfectly creamy and cheesy. I’m not going to lie. When I was eating this soup I was really happy I’m not doing a Whole30 this January like I did last year . I’m forever grateful we did that as it totally changed my husband for the better, but cutting out cheese was tough for me! Thankfully, I’m good at moderation and can enjoy cheese once in a while and my body seems to tolerate it fine. I made this in the Instant Pot (<—that’s my affiliate link if you need an Instant Pot. :))because one of my goals for the year is to use it more. These Instant Pot recipes are helping, and I’m working to develop more of my own. I think you’re going to love this Instant Pot Broccoli Cheese Soup! It’s so quick and easy to make in the Instant Pot, but if you don’t have one, you can still make it. I’ve put the notes to do so in the printable recipe card! Enjoy! This Instant Pot Broccoli Cheese Soup is quick, easy, and absolutely delicious! You’ll never know it’s a lightened up version! Start the Instant Pot in sauté mode and melt the butter. Add the diced onion and minced garlic and sauté for two minutes. Stir in the flour and allow it to cook for one minute. Stir in the broth until it is a smooth consistency. Add broccoli, carrots, salt, pepper, and paprika. Press cancel and put the lid on the Instant Pot with the vent in the sealing position. Set the Instant Pot on manual mode at high pressure for eight minutes. When the Instant Pot beeps, use the quick release method to release the pressure. Open the lid and set to sauté mode again. Gradually stir in the half and half. Next, gradually stir in the cheese, stirring continuously, until it melts. Press cancel and serve! Enjoy! *I highly recommend you grate your own cheese rather than buy the bagged shredded kind. Freshly shredded will melt better and the shredded kind has added ingredients that won’t let it incorporate as easily. Also, sharp cheddar or extra sharp cheddar will lend the most flavor. ** To make this without an Instant Pot, follow the directions, but use a heavy bottomed soup pot on the stove top, when it calls for pressure cooking the vegetables, instead simmer the broccoli and carrots until they are tender, about 20 minutes. Then continue and add the half and half and cheese. 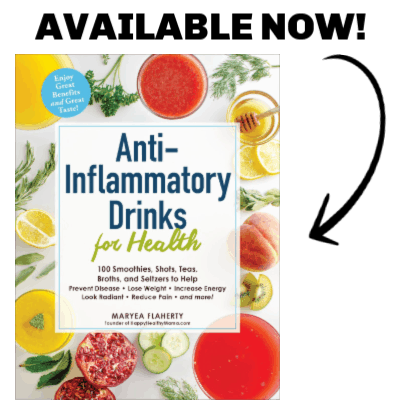 ***Links to products are affiliate links. 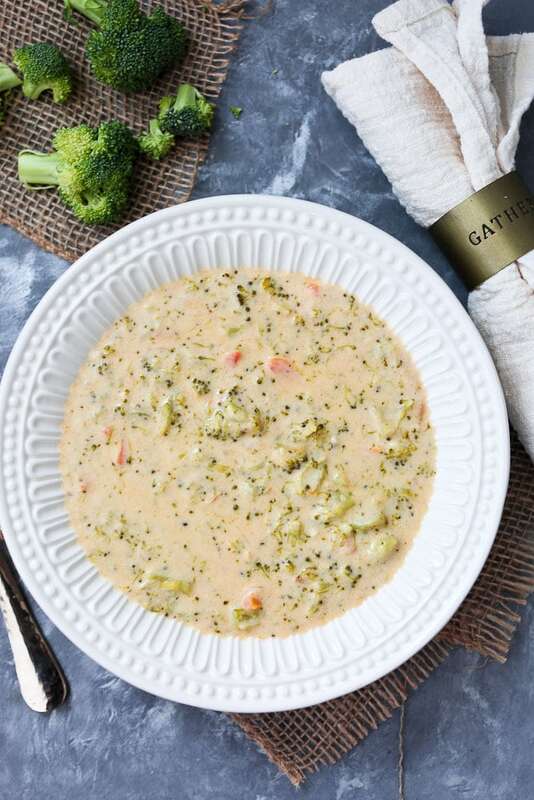 If you make this Instant Pot Broccoli Cheese Soup recipe, or any Happy Healthy Mama recipe, I would LOVE to see it! Please take a pic and share it on Instagram or the Happy Healthy Mama Facebook page and tag me @happyhealthymama ? Very good soup. I added some celery to enrich the soup. Super easy to cook and I like the lighter option with half and half instead of cream. I made it without carrots and with 2% milk as I can’t use crime or half and half. It was super easy and Tatarstan great. This was a very good recipe. It also tastes so good and my dad who is a bit picky also enjoyed it. It also reheated well in the microwave. So glad to hear that Pamela! Thanks for the feedback! Since I can’t have dairy, do you think canned coconut milk and vegan cheese would work? I would really like to make this soup. Thanks. This was my first instant pot recipe to try, because I had broccoli stems and stalks after making a salad. I used soy milk instead of half and half and no onion. Delicious! So glad to hear that! Thanks Sandy! I am very new to the instant pot. I tried another recipe from another cook chef. It turned out terrible in my opinion. This recipe was absolutely scrumptious! Very easy! I didn’t have Matchstick carrots so I grated a carrot. Other than that, I followed it your recipe toa T. . This soup is a winner! The whole family loved it and my son ate 3 helpings (definitely going to double the recipe next time since there were no leftovers). He told me to come on here and give it 126 stars but I told him the highest I could go was 5:). Oh and I don’t have an instant pot so really appreciate you giving additional directions for those without. Super yummy! SO happy to hear this, Heather! My husband thought this was delicious!! We are doubling it next time so we’ll have more leftovers. Thanks for sharing! Delicious!! I ended up adding celery and potato, and the end result was scrumptious! My family thanks you! This was delicious!! Followed the recipe exactly as given. So easy. Will definitely make it again, and soon.